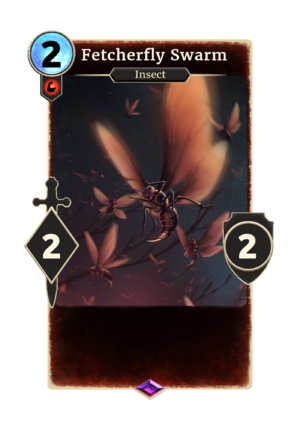 Fetcherfly Swarm is an epic Strength creature card. It is created by Fetcherfly Golem. This page was last modified on 23 February 2019, at 23:08.